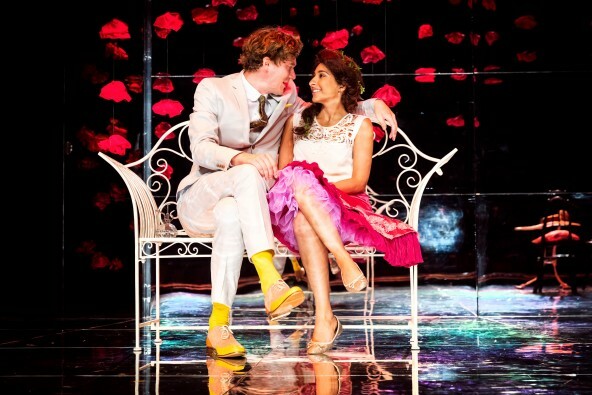 The Importance of Being Earnest, Curve Theatre, Leicester. Back in August I attended Curve Theatre's Autumn/Winter Season Launch Evening [read the post here] and there was one production they were presenting this season that I was curious to see above everything else. Oscar Wilde's The Importance of Being Earnest was a creative masterpiece you don't want to miss! The Importance of Being Earnest can only be described as one of the finest comedies in the English language and one of the best traditional British plays, it's something we must all read in our lifetime. When Oscar Wilde's play was first performed back in 1895 it received considerable praise, however, soon after that Wilde's career was ruined when he was prosecuted because of his sexuality. It wasn't for a fair few years before the play was performed again and it was embraced by it;s many audiences and still is one of the well-known plays of our time. The play has a great use of comedy but also what lies beneath is an attack on Victorian society. It challenges the hypocrisy of a society which sees women as commodities, where appearances are preferable to intellectual substance, and identity and heritage are also significant themes. The strong force of characters such as Lady Bracknell, Algernon and Cecily, Wilde is able to present a formidable army to challenge the status quo of his day. Even though this play debuted in 1895, a lot of what we witness remains very much relevant to our present day and something we can all pick up on. What Director Nikolai Foster and Designer Isla Shaw manage to create with this more contemporary and modern feel to the 1895 play is a masterpiece of imagination. The audience space as well as the stage are presented to you with a real party theme and you are engrossed in the play from the very beginning. Even as I watched the play so much of it's context was relevant, easy to understand and easy to follow even if you hadn't read or seen the play before. They touch on the themes that are the most important even in the 21st century, the ideas of origins and heritage, women in society that we still read about on a daily basis. The design felt very modernistic with the mirrors surrounding the space, and perfectly rounded off with a single lined finish border that gave it a smart finish. The furniture and costumes were still very much from the 1895 era, giving the impression it was still very much based on that era and that it wasn't lost in the modernistic more contemporary feel that Nikolai and Isla created for the play. It worked perfectly for a audience in the 21st century to enjoy and feel comfortable in. The performance felt so colourful and bright for the entirety and I absolutely loved the use of music to change scenery that was modern and fast moving that it helped move the play along nicely. There were definite moments of humour and from the very beginning the cast had us where they wanted us in engaging with them. The friendship of two women demonstrated by characters Gwendolen Fairfax, played by Martha Mackintosh and Cecily Cardew, played by Sharon Phull was a great representation of friendships formed by women in their ages. The cast was perfectly formed and all of the cast gave great performances, there were some slight moments where the actors tripped on their lines almost but with professionalism they carried on and didn't let it affect their performance (ever the professionals!). Algernon's character played by Edward Franklin was a lovable character with bags of charm! 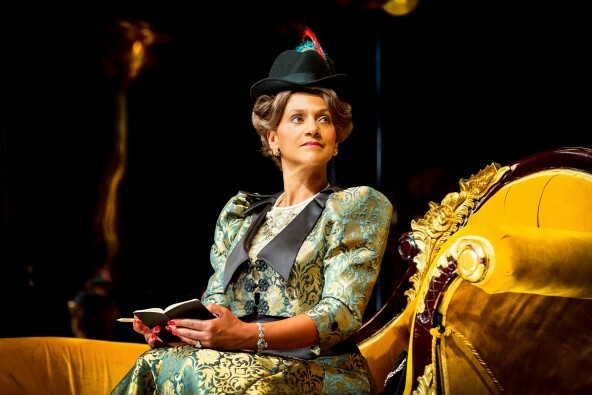 And finally, Cathy Tyson's performance of Lady Bracknell was perfectly fitted to her and she was flawless at representing her character to it's best. Make sure you head to the Curve Theatre to watch The Importance of Being Earnest, it plays until the 29 October and is a fabulous play for everyone to enjoy! The play was also produced in collaboration with Birmingham Rep Theatre, Birmingham. Please do head back to this blog later this week where I'll be interviewing Sharon Phull and Martha Mackintosh about this production! 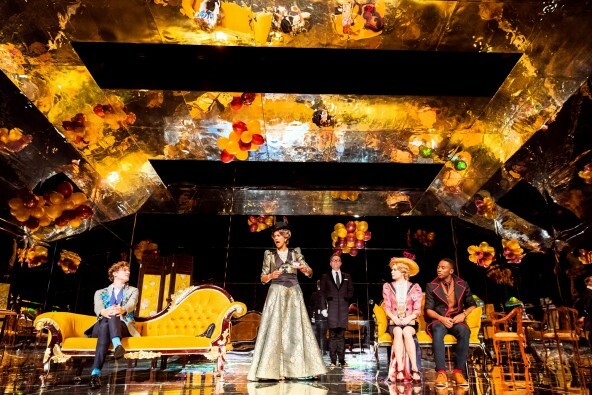 Disclaimer: I was invited to a performance of The Importance of Being Earnest at The Curve Theatre in Leicester in return for this post to be published. The photos are sourced from The Curve Theatre wesbite . All views are on my own. Glad you enjoyed it, it sounds a great production! It's great that the actors carried on after they missed a line, I've been at a play and an actor forgot there lines and didn't carry on which ruined that scene for me!